Today, we have author Catherine Stine featured on the blog’s ‘Indie Saturday‘ for her SciFi futuristic thriller novel Fireseed One. I’m thrilled to share my new sci-fi thriller, Fireseed One. I’ve always liked weird science, particularly unusual hybrids, which abound in Fireseed One. I’m an avid gardener and follow Pharming and GM crop news, so when I did research into transgenic hybrids these last couple of years and found out that there were already lots of actual transgenic experiments going on I got very inspired. Transgenic hybrids are hybrid plants that don’t exist in nature and must be bred in a lab, for instance, blue roses. But it gets much deeper. Biologists have combined tomato and fish DNA to produce blight-free tomato crops! They’ve also combined mothers’ milk and wheat DNA to create baby cereal and formula that will protect babies in third world countries from fatal diarrhea. Pretty cool, huh? What if the year was 2089 and all of the Arctic ice had melted, and what was now the USA was a lethal Hotzone? What if there were a digital border wall that separated the two zones and hungry terrorists hacked the border, and stole all of the agar — an algae type plant that the whole world lived on? What if, in the meantime, Professor Teitur, a marine biologist had invented a transgenic hybrid — Fireseed — an edible giant red flower with almost magical breeding properties that could thrive down in the Hotzone with no water in the killer heat? But what if that marine biologist turned his back on the refugees after one of them stole his wife’s flycar and left her in the desert? And what if a beautiful and shrewd terrorist from the Zone Warrior Collective named Marisa, broke into that marine scientist’s seed vault, trying to find Fireseed, but destroyed all of the agar instead? And what if this Professor Teitur had drowned five weeks prior under mysterious circumstances and his eighteen year-old son, Varik Teitur was left to deal with Marisa, the sea farm, in fact the fate of the entire known world? Varik, with Marisa his sworn enemy, must hunt down Fireseed One — a supposed plant with an undetermined mash-up of DNA. The catch? The world is now starving and Fireseed, the last hope may have never even existed off of the drawing board! Is there any comic relief? Ah, but of course. Gallows humor is a specialty of mine. Yes, I’m also a published illustrator and have nine drawings in Fireseed One. Yes, a fire and ice romance that rivals the Arctic’s polar winter and Hotzone summer! Catherine Stine has held some colorful jobs, including a stint as a sail-maker, a solar-heated swimming pool cover designer, and as a designer of children’s fabrics and watch-faces. As an illustrator, she has done work for Penguin-Perigee, Learning Strategies and Lantern Books. Writing, illustrating and teaching creative writing are her favorite gigs ever. Fireseed One by Catherine Stine is available at Amazon in Kindle (on sale for $0.99!) and illustrated Paperback formats. The ebook is also available on Barnes & Noble. You can also check out Catherine’s Amazon Author’s page for a listing of her other books! 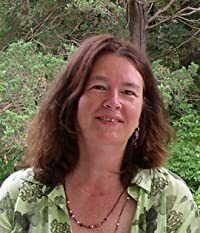 To learn more about Catherine Stine, follow Catherine on her website: www.catherinestine.com, Facebook page: Fireseed One, Goodreads page and Twitter: @crossoverwriter. She also blogs on www.catherinestine.blogspot.com. Drop by and say hi to her! Read an embedded sample of “Fireseed One” after the jump! A club scene after Varik’s father’s computer crashed, and Varik has captured Marisa, the terrorist who broke into his father’s seed vault. Great interview. Catherine is amazing! Hurray, Catherine. And I love that you love gallows humor. Thanks, Kelly. Looking good, Randomize ME. Thanks! This is a unique tale. Catherine blends futuristic science with a world on the brink of disaster. A great book with characters you ache for and laugh with. A captivating thriller. See my review here. Thanks, Donna, Kelly and C Lee! FREE $2 MP3 Credit to Spend at Amazon MP3! Twitter Deal Alert! (Amazon MP3) This Week’s $2.99 MP3 Albums: Soundtracks!